Scaffolding is the option in MVC which provide the facility to generate automatic code page for certain functionality like List, insert, update, delete etc. It is the major tool which provides quick way to generate code. In this example I am using LINQ to generate back end part. In my next article series I will show the same example using Entity Framework. If you are new to LINQ then kindly first Click Here then study this article. 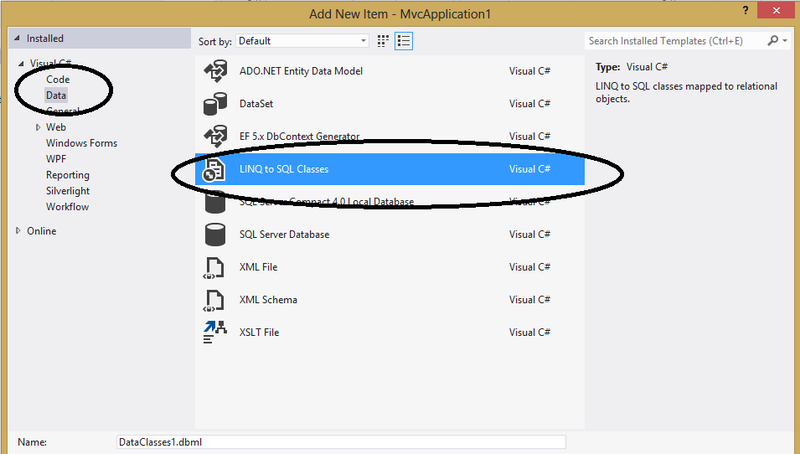 Then select data from left panel then select LINQ to SQL Classes. Now go to the model folder. Right click on this folder and add class in which we create properties for student table and map it with database. If you are not aware about the model then kindly first click here. Then give a name to the controller and add it. Now add view for the Index action. 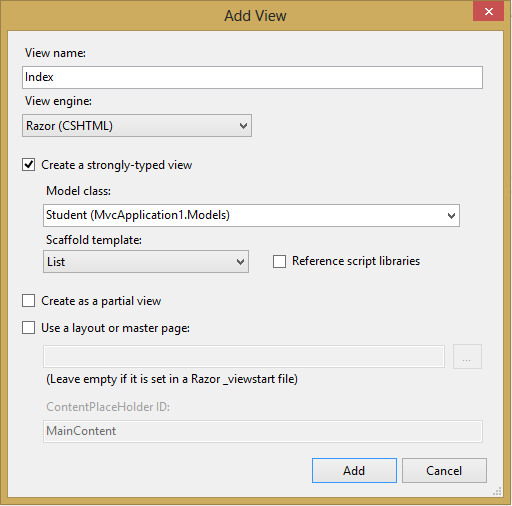 Create a strongly type view in which select student class as model. As you select the model class you will see that scaffolding dropdown list has been activated. Select list from this dropdown list and click on add button. As you can see that scaffolding created complete list page for this model. It added table with header and loop which is showing the data. Similarly it also added actionlink in which it bound the student id which is primary key for our code. On the top you can see that it is taking IEnumerable of type student which we will pass from the Index action. 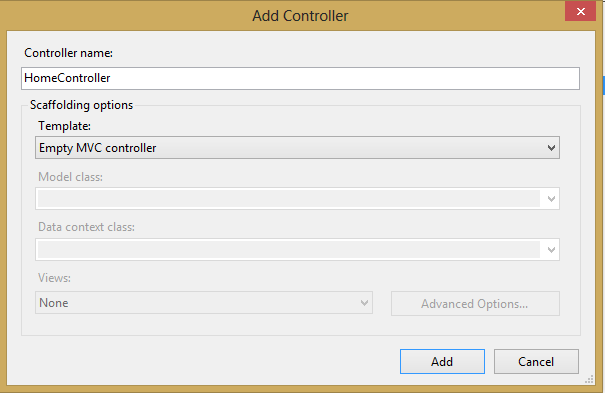 Now go to the controller and create the object of DataContext class and in index method call the data of student table. And pass this data to the view. If you want to customize this view page then we can also customize this page. For example I want to show lines to this table and change the column name which it’s showing then we can also customize this page. So I simply assign border to the table and use label to show custom column.